Currently, the machine is ramping up as back-up decks are being installed. As of April 2017, the machine has bored more than 51 m (167 ft), mainly encountering limestone. “Limestone is a rock easy to dig, but one can be confronted with the phenomenon of karst,” explains Loïc Thévenot, Director of Underground Works for Eiffage. 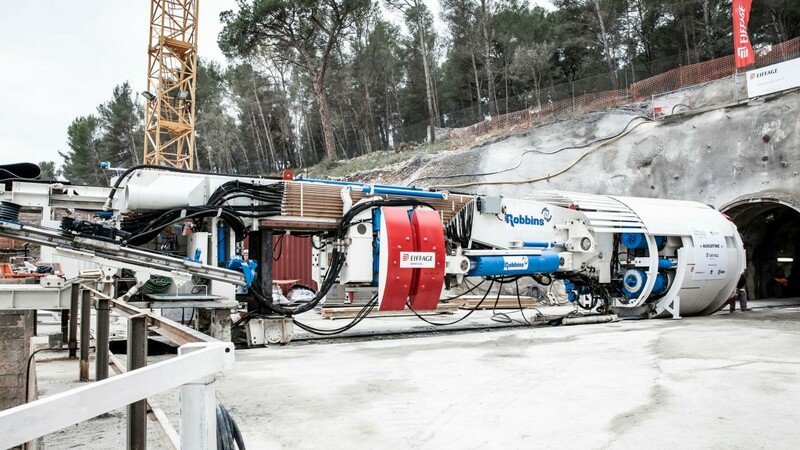 “For this purpose, the tunnel boring machine is equipped with a probe drill. If the karst is small, we will fill it with concrete. If it is large, we will erect a small parallel gallery."